Today’s diverse families form the foundation of strong Wisconsin Communities. Extension provides statewide leadership to promote education, resources, and partnerships that create an environment where families and their communities can thrive. The ACE Study confirms, with scientific evidence, that adversity during development increases the risk of physical, mental, and behavioral problems later in life. The ACE Study and other research using the Study’s framework have taught us that ACEs are common and are the leading cause of health and social problems in our nation – the most powerful determinant of the public’s health. The prevalence of ACEs is staggering. 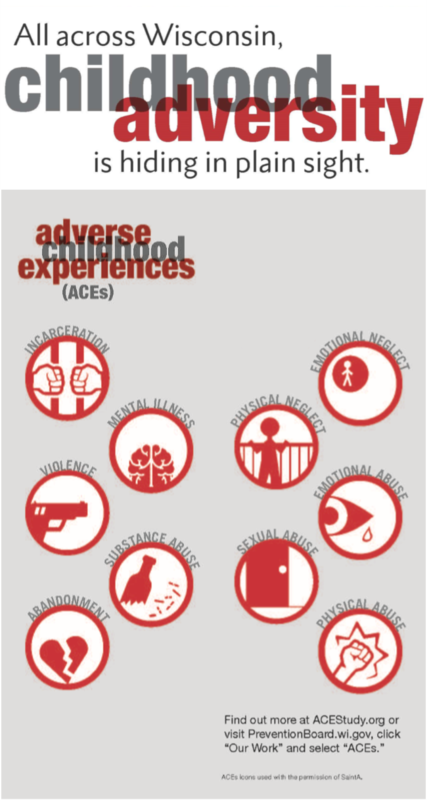 There are 10 Adverse Childhood Experiences (ACEs), and the more ACEs an individual has, the higher their ACE Score and the greater their risk for long-term consequences. Nearly every community feels the medical and social burdens of subsequent behavioral and physical health problems, including depression, suicide, heart disease, diabetes, and early death. There is hope for healing, however. Start by understanding ACEs and their effects with a FREE Wisconsin ACE Interface Training. The mission of ACE Interface is to promote awareness of ACEs throughout Wisconsin, to create a shift in perspective in how we view health and social issues, and to inspire a new approach to building healthy and resilient communities. Our volunteer trainers teach schools, health systems, law enforcement agencies, and other community groups to identify and respond to the toxic stress of childhood adversity. The Wisconsin ACE Interface curriculum provides communities with an introduction to adverse childhood experiences (ACEs) and brain development. Trainers from nearly 30 Wisconsin child welfare, human service, and other agencies volunteer their time and resources to facilitate the first step in the creation of self-healing communities. 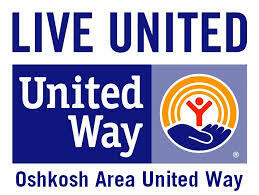 Contact Mandi Dornfeld, Winnebago County UW-Extension, to schedule your training at (920) 232-1973. View the ACE Interface Overview flyer for more information. View the ACE Key Takeaways handout for more about the study. 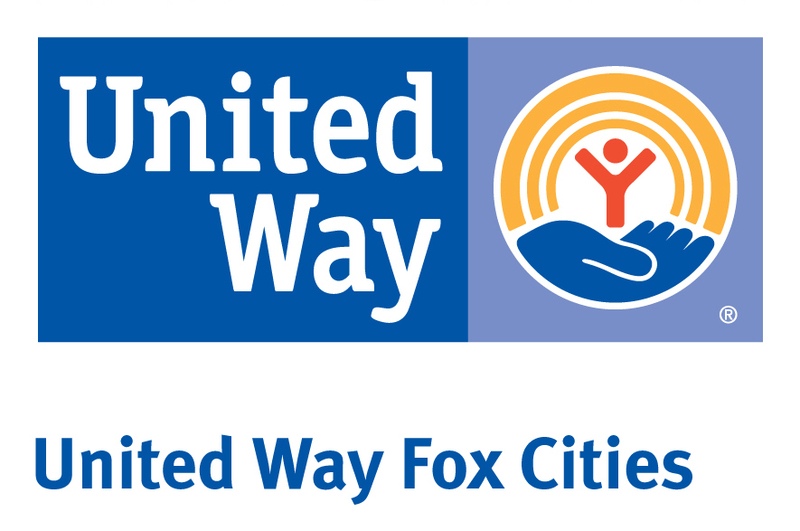 View the August 2018 Impact Report to learn more about the impact of ACEs and how UW-Extension Educators are taking action. Researchers have found that children develop a variety of skills through block play, including: Math, Physics, Early Engineering, Creativity, Social Skills, Physical Skills, and More! 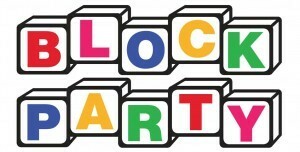 Block Parties are scheduled free-play time with a variety of blocks for families with children ages 0 – 10 years. View/download more information about Block Parties here. 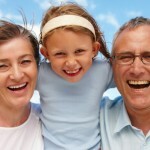 Many grandparents or relatives who are raising their grandchildren are turning to each other to find the comfort and help they need. The Grandparents Raising Grandchildren Support Network of Winnebago County focuses on the roles grandparents/relatives play and provides an opportunity to meet others who share similar experiences, knowledge, strengths, and hopes. The support group provides a place to belong and a network of support. Is your child ready for self-care? As children grow more independent, parents begin to consider the possibility of having them stay home alone rather than being cared for by others. This can be a rewarding experience for children and parents, but only if the children are ready and prepared. Winnebago County UW-Extension offers an online program that educates parents and their children on readiness for self-care, home alone plans, safety, and alleviating fear and boredom when children are home alone. Visit our Home Alone online program for more information or to register and begin the lesson plan. Parents and children should complete this entire program together. You can also find a more interactive experience by joining Parenthetical, a blog, website, and social network for parents of tweens and teens. Kids in the “in between” years provide parents and caring adults with a unique set of challenges and opportunities. We all have those conversations with other parents and professionals that leave us wondering, “what do other parents do?” How do they feel about certain situations: money, chores, responsibility, bullies, attitude, technology..the list is really endless! Find us on Facebook, and join our new online group, Conversations that Matter (Winnebago County Parenthetical) and share your stories, insights, and questions. It’s free and open to everyone! 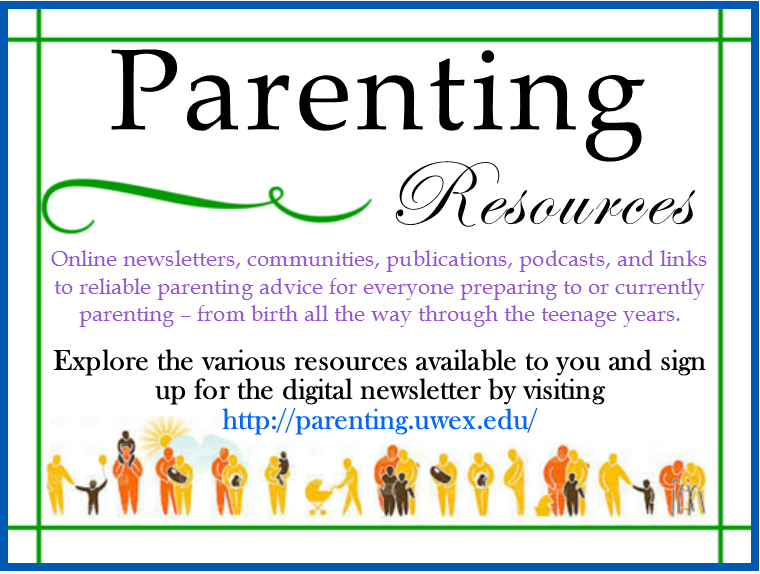 University of Wisconsin-Extension provides various resources available for you to explore, including online newsletters, communities, publications, podcasts, and links to reliable parenting advice for everyone preparing to parent or currently parenting – from birth all the way through the teenage years. 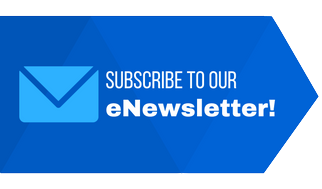 Get the latest information on child development, nutrition, health, safety, child care, changes in family life, and much more. We are professors and staff of a great public university (the University of Wisconsin). We teach college courses on child development, parenting, and human nutrition. Our knowledge is based on research findings, which tell us what usually works for most parents. Our advice is not based on any philosophy about how the world ought to work. We just tell you what works most of the time, according to research on families like yours. The Real Happy Hour is about families spending quality time together – whether it’s eating dinner together, playing outside together, going for a bike ride, or walking the dog. Quality, family time can create positive outcomes for children and teens, foster stronger families, and build a healthier community. The Real Happy Hour reminds us that family time matters. The Real Happy Hour is a local, community-wide campaign in Marathon, Winnebago, Calumet, and Outagamie counties that focuses on the importance that family mealtime and family playtime has for children and teens. As children age, it is important to spend quality time with them, building trust and keeping the lines of communication open so that if at any point they begin to feel increased pressure to experiment with smoking, drinking, and using drugs they can feel comfortable talking to parents about it. Family dinners provide the perfect opportunity when children and teens can talk to their parents and parents can listen and learn. More information and resources are available here: What is your REAL Happy Hour? Managing life’s challenges in a healthy way allows you to take better care of yourself and your overall health. This multi-session program offers practical strategies and experiences to help you deal with the stress in your life. Activities of the program are aimed at increasing mindfulness, positive emotions, optimism, resiliency to stress, coping skills, and self care of one’s mind, body, and spirit. Even after children grow up, families keep right on changing! But old family patterns and decisions don’t always fit changing needs. Personal decisions about health care, housing, legal issues, and financial matters can be hard to think about and even harder to discuss with family members. You need accurate information to make wise decisions. You also need some communication tools. By exploring the issues and questions included in this program, you and your family members can strengthen your understanding of change. You also can increase your skills for coping with change together.